This is something I wrote in May of last year, but after the death of MITL's director at this time it fell from my to-do list. While B-Line stations have changed and the A-Line spur has been converted to a BRT to the airport, the core message of this piece remains the same. It pairs nicely with a more recent one I wrote for The Hamiltonian/Raise the Hammer. Like the larger Province of Ontario, Hamilton is set to see a large increase in population and employment over the next 25 years. While there is always some uncertainty in such projections, the most recent estimates have our population reaching 776,000 by 2041 in the reference case - an increase of 44 percent. Similarly, projections place the number of jobs increasing by 50 percent to 351,000 by 2041. In the same timeframe, the larger GTHA will grow by nearly 50 percent to 10.1 million. While a growing city and region is good for Hamilton and Ontario, the key question for the future is where and how this growth will occur. In the past, growth in the GTHA largely happened on the suburban fringe, and the auto-dependency of this growth is a major source of the crushing congestion problems that face the region today. In our case, we are adding a city the size of Kitchener on top of Hamilton! This means it is not a question of whether this city's congestion will get worse with or without LRT, but a matter of when. Thankfully, Ontario has a fairly robust system in place that will help to ensure that the region grows in a way that is more environmentally sustainable, equitable, and economically prosperous. About a decade ago, the Government of Ontario instituted an important framework for managing future population growth in the Greater Golden Horseshoe region. The Greenbelt Act of 2005 established a ring of protected land around the region that acts as a boundary to urban growth and spatial expansion - essentially providing a cap on greenfield suburban sprawl. This growth should be directed to Urban Growth Centres, Intensification Nodes, Intensification Corridors, and Major Transit Station Areas. (There are many other aspects to the Growth Plan that can't be covered here - setting aside land for future employment growth and requiring new greenfield development to achieve a minimum gross density of 50 people and jobs per hectare are two particularly important ones). Where the 2006 Growth Plan was always a little soft was in its minimum targets for intensification. No minimum levels of population and employment densities were set for Intensification Nodes, Intensification Corridors, or Major Transit Station Areas. Urban Growth Centres however were to achieve minimums - Hamilton's was set at 200 people and jobs per Hectare, which council upped on its own to 250. 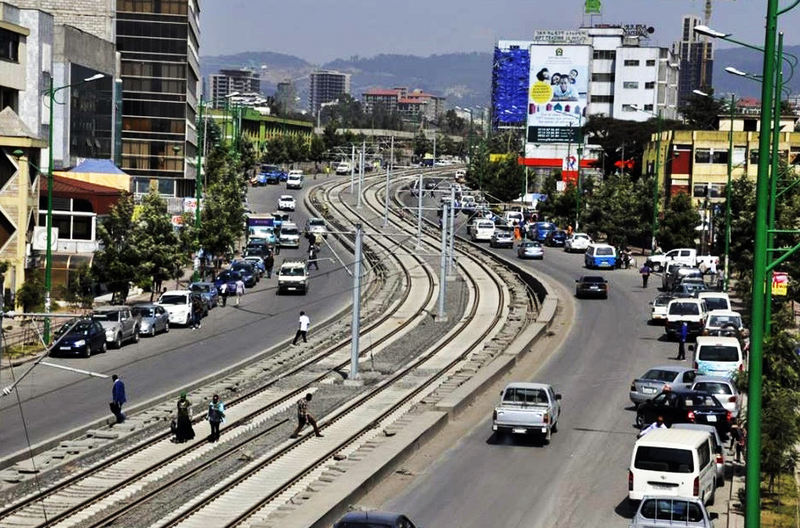 Where things get interesting is in the proposed changes outlined in the 2016 version of the Growth Plan. Most important among them are new mode-specific minimum density targets for Major Transit Station Areas. For LRT lines, the minimum to be achieved by 2041 is 160 people and jobs per hectare, a significant increase in density over the existing built environment in the vast majority of transit station areas around the region. Furthermore, if adopted, the changes would also allow the province to designate transit corridors in municipal official plans, and establish criteria for how this corridor is to intensify. These would be important additions to the growth planning framework in Ontario, so we will have to see if they get implemented. Nevertheless, the Growth Plan that is in force now states that intensification should occur around rapid transit, and is to do so in a way that promotes 'transit-oriented development' (TOD), which refers to higher-density, mixed-use, amenity-rich, and walkable development oriented to rapid transit service. TOD brings with it many benefits - higher transit use, greater rates of walking and cycling, increased land values, and the chance to express different lifestyle preferences - something that has been shown to be of particular interest to millennials and empty-nesters. In the most recent Urban Official Plan, the City of Hamilton delineated its Urban Growth Centre, Intensification Nodes, and Intensification Corridors. Because the A- and B-Line LRTs did not exist, no Major Transit Station Areas are in the Official Plan. From this, it is presently up to the City to ensure its land use planning and policy around the LRT corridors provides an opportunity for intensification to support and maximize the return on investment for rapid transit. Aside from the downtown core's Urban Growth Centre, there are no specific density minimums to meet. The intensification areas along the A- and B-Line are shown in the figure below - ignore the stations for now, I will get to them in the next section. How is Hamilton doing in terms of population and employment densities around future A- and B-Line LRT stations? My recent research at the McMaster Institute for Transportation and Logistics examined how transit-oriented the built environment is around existing and future rapid transit station areas in the GGH, and Hamilton performs quite well. The project was completed as part of the Places to Grow Implementation Fund and takes a more regional perspective. You can find the full report here, and a summary of all the different transit projects here. But briefly, the more than 400 existing and new station areas in the GGH presents a good deal of complexity for planners and policymakers in terms of understanding each station's TOD context. To overcome this, I devised a planning tool that distils measures of station-area TOD into a 'typology' of different station types. The method measures accessibility, mixing of land uses, density, and pedestrian connectivity within 800 metres, or about a 10-minute walk of a station. Employing it to the GGH reveals 10 station types ranging from very high density Urban Commercial Core stations to low density Exurban Neighbourhoods (paper here). This work was based on older B-Line plans and completed prior to the recent announcement of station locations, so they are not quite the same. I have also included the chunk from Queenston Traffic Circle to Eastgate Square as B-Line Phase 2. From this we can see that the bulk of the corridor is made up of TOD-rich Inner Urban and Urban Neighbourhoods, a high density Urban Commercial Core (the only other one in the region outside of downtown Toronto! ), and some medium-TOD Suburban Neighbourhoods. Again, while the growth plan doesn't require minimums for Intensification Nodes and Corridors, I assumed a level of 100 and 50 people and jobs per hectare for each to set some sort of benchmark. The Urban Growth Centre is set at 250. From this, we can see that prospective station areas are fairly dense already, with many approaching or surpassing 50 people and jobs per hectare while others in and near the downtown are much higher. Still, if the proposed 2016 changes to the Growth Plan are implemented, significant intensification will be required to hit the Major Transit Station Area target of 160 people and jobs per hectare. Note - I haven't had time to fully incorporate the new A-Line BRT into my TOD typology work, but here's a chart of station-area population and employment densities for comparison to the B-Line. Based on both the TOD typology and raw population and employment counts within each station area, Hamilton compares favourably to other projects in the region. The B-Line Phase 1 is predominately Urban in TOD, and features the eighth-highest average population and employment densities among all the projects in the region (note the A-Line density measures are reduced because the Waterfront station features a good deal of water in its catchment area). What does this all mean for Hamilton? The way I described it during the MITL project's launch event was that the A- and B-Line LRT corridors have good TOD 'bones' - they have the land use conditions ripe for LRT (much more so than some parts of Denver's LRT for example). The line is higher-density, features good pedestrian connectivity, high levels of access to people and jobs, and a mixing of land uses. In a quantitative sense at least, it essentially reflects aspects of TOD, just without 'T' of rapid transit. This isn't to say it's a done-deal or a 'magic bullet'. Back in 2012 we noted that Hamilton's LRT plan at the time had not learned all it could from other cities. Although TOD design guidelines were published and some corridor studies were underway, we were not yet altering zoning to actually enable/promote TOD. The plan also called for maintaining King and Main as one-way streets, something the Metrolinx business case argued would hurt the benefits offered by the project. Since that time, the funded version of the LRT plan is transit-first, with centre-running tracks and two-way traffic and a large corridor zoning exercise is underway to ensure we funnel Hamilton's projected population and employment growth to the LRT corridors. Note - LRT corridor re-zoning to promote TOD has been approved since writing: see here. While the typology is quantitative in nature, the full report offers a more detailed case study on two potential B-Line stations and notes some other qualitative things that can be done to ensure the line achieves the greatest accessibility and land use benefits. Implementing Complete Streets, for example, can improve the quality of the built environment for all people around a LRT station and have been shown to increase safety, encourage alternative mode use, and promote economic vitality. To sum up our research over the past few years, LRT presents some challenges, but also some very significant opportunities. If we have learned anything from the other North American cities with LRT (30 and growing! ), it should be that it is completely within our power to achieve the maximum possible benefits from the project. Hamilton only benefits from the experiences of other cities, as it is only through mixed results that we learn best practices. If we do it right - and all indications are that the new plans for the A- and B-Lines are headed in this direction - LRT combined with transit-oriented land use planning can 'activate' the downtown and eastern, western, and northern portions of the transit corridor. This is not to say these areas are not already 'active' - Hamilton is enjoying new growth and reinvestment, and new rapid transit projects are at their best when they are able to ride this wave - just that with good TOD 'bones' in place, LRT stations can create a centre of gravity around which population, employment, new investment, and daily activities will concentrate. Alongside LRT, planning for transit-oriented intensification can also allow us to accommodate a large proportion of our future population and employment growth within the existing urban area, reducing auto-dependent urban sprawl. In the big picture, this is what the transformative power of LRT is about: helping our city grow in a way that is more environmentally sustainable, socially equitable, healthy, and economically prosperous. Al Gore says that the East Coast will be submerged by 2052. The most conservative timeline predicts completely autonomous vehicle traffic by 2050. Ray Kurzeil predicts the Singularity will occur by 2040. CBC reported today that the end of work will occur around 2030. The real estate bubble is expected to burst any day now. But I'm expected to believe that an 11 kilometer rail line scheduled to be opened in Hamilton, Ontario by 2024 will impact my life in any way? Talking about growth and its effects in the Golden Horseshoe up until 2041 is absolutely pointless. Do you really think it'll be the status quo until then? Some say that the next 20 years of technology will make it look like we haven't progressed in the last 100 but you're projecting population and job growth? I can't even take this seriously. "Jobs" won't even be a thing by 2041. We're on the cusp of an entirely new paradigm for human existence but guys this train will get everyone to work in 2041. ??? By your logic, we should all just crawl under a rock and wait for the world to end. Sorry, but hand-wavy fatalism is not a good basis on which to plan for any future. If LRT doesn't matter and won't impact your life, why are you spending so much energy opposing it? 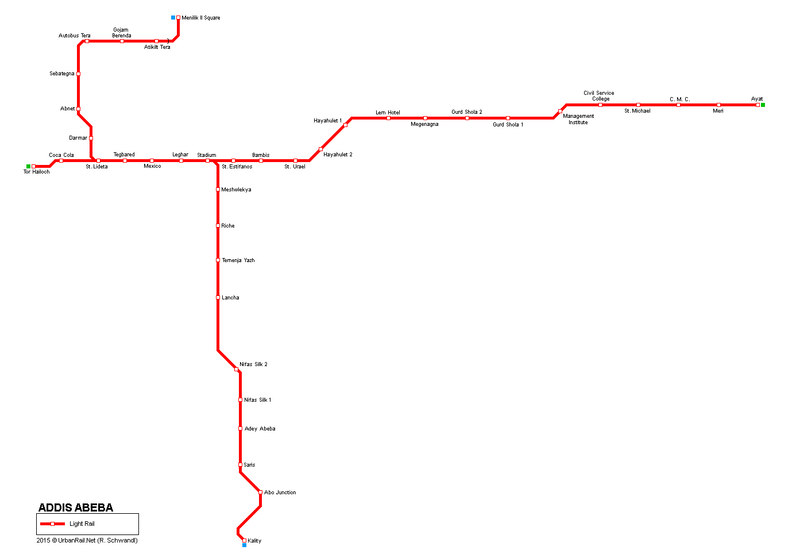 I've always felt that our LRT had a greater chance of success if it had been built to Eastgate now, rather than later. Now that I've read this article, my take away is that I was wrong. Even though Eastgate is a node, our existing density to QTC provides us with a ridership potential that substantially exceeds Kitchener's LRT. Thank you for reprinting! My lifestyle preference is to live in a car-free neighbourhood. I want my children to be able to safely play in the street. I want to be able to live in a neighbourhood with a high level of social interaction. I want the noise, pollution and danger of cars to be firmly kept away from myself and my family. There are many, many people who want the same. There are over 10 applicants for every position that opens up on the Toronto Islands' wait list for housing. A list that is over 35 years long. Right now, all these people in Hamilton are deprived of housing choice. It is time to end that denial of freedom and denial of choice. I herd they delayed the LRT vote last night. Are they simply continuing the meeting today or are they doing it at some future date? Tabled till April 19. Not sure if they're allowed to table it again at that time. Wow, 3 weeks! That is the real reason your city has a problem right there! Instead of quickly dealing with a minor vote and moving on, they are letting the whole situation languish for 3 weeks. Does your council know that they have a dozen or so, procedural LRT votes like this one left to do, before shovels even hit the ground? If every vote is going to be like this then most likely this entire LRT project, and definitely the reputation of your city, is toast! It doesn't matter if you are for or against LRT, delaying simple voting only adds cost to everything around the LRT project as well as extra costs to actually running your local government. It wastes everybody's effort and the years that have already gone into this project. These politicians are fiddling about with the time of the 50 or so very talented and expensive Metrolinx and or privately on-contract, LRT project planners, engineers and designers. Not to mention frittering away the time of potential contractors and suppliers, who might want to bid on parts of this project, most of them by the way, will be local Hamilton companies! This is only doing damage to your collective reputations folks. The people who are presently working on this LRT project are in Hamilton right now, not in some far away office in Toronto, they are occupying office space in your city! Spending money in your city! These delays will just confirm that, costs will go up for everyone. If you want LRT, just vote yes. If you don't I'm sure Waterloo would love to have some the $1 Billion in cash for phase 2 of their LRT project. They are calmly waiting for news about their funding. The planning and procedurally steps needed to be completed for ION LRT's Stage 2 program are almost done. Or, how about the dozen or so other transit projects in the Greater Golden Horseshoe Region that have their EA's done and have city council's as well as supporters, who are tolerantly waiting for any sign of cash! As a person who doesn't live in Hamilton and speaking for everyone else in Ontario who would love to have Hamilton's problem, which is having the provincial government dump $1,000,000,000 into our laps, for an 11 km LRT line , a 15 km BRT line, Another GO Train Station and improved GO Train service. I have 2 things to say, WILL THE HAMILTON CITY COUNCIL JUST VOTE AND PLEASE STOP WASTING EVERYBODY'S TIME! Also keep in mind that over half of our councilors come from amalgamated towns that have no love lost for Old Hamilton. They identify as coming from Dundas, Flamborough, Ancaster, Stoney Creek, Waterdown and it does not serve them well politically to do anything that might appear to help the original part of the city of Hamilton. This is the main reason why a tiny bus-only lane near our downtown got removed. It's presence had no bearing whatsoever on any of the amalgamated areas but it was killed as it was deemed as being some sort of improvement to the area (even though outwardly of course their reasons were because it affected traffic etc etc). The real slap in the face is that the conservative governments that are routinely elected in those areas are the ones that introduced amalgamation. Hamilton proper has been NDP and a little bit liberal for years. I only followed the CBC twitter feed but the impression I'm getting is that this project will be purposely delayed until it can be killed. There are only 5, maybe 6(Fergusen) certain votes and they need 8. Being pro-LRT outside of downtown has become political suicide. If it does get cancelled this will officially be the stupidest city in Canada. The people who are presently working on this LRT project are in Hamilton right now, not in some far away office in Toronto, they are occupying office space in your city! At the moment France has 28 LRT systems. Three of the systems were holdovers from when France had Tram Lines but the rest, all date from late 1980's until now. 15 of those LRT systems are in cities smaller than Hamilton. The smallest is in a city of less than 100,000. In fact 3 of the LRT systems are in cities of less than 100,000. 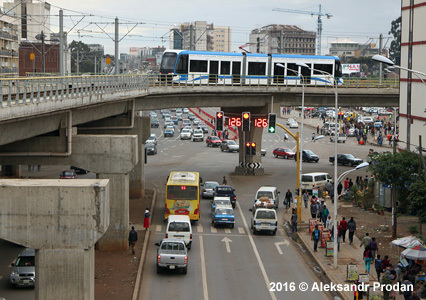 Well France is Europe, ask your anti-LRT councilors, "why can't Hamilton please have the same transit operating technology as Addis Ababa, Ethiopia", one of the poorest nations on Earth. They have a 2 line 31.6 km system with 39 stations, it moves roughly 160,000 passengers a day.